Cap rates are one of the most referenced metrics in all of commercial real estate. Unfortunately, they are also one of the most misunderstood metrics in our industry. I genuinely believe that this misunderstanding comes from the diversity of significant players in commercial real estate. 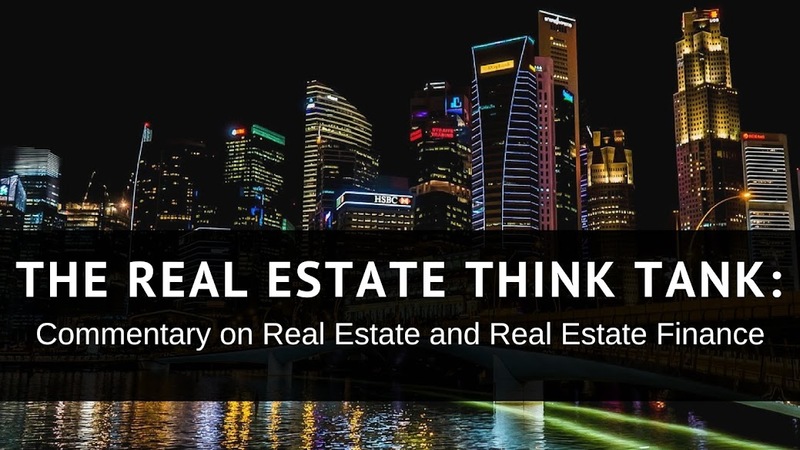 Unlike the equities and debt markets, commercial real estate does not require the presence of a financial institution to mitigate the flow of information and to establish standard practices. Moreover, the equities markets are heavily regulated to insure honesty, transparency and equality of information. The debt markets, though not transparent, however, are generally restricted to institutional investors and high net worth individuals. Commercial real estate sales and acquisitions have no such regulations or restrictions and therefore do not require knowledge of the real estate metrics and their related mathematics to effectively transact. Many commercial property owners purchase properties based on simplified formulas, local knowledge of the property, purchasing rituals or merely "gut feelings." The presence of such transaction activity lends to frequent misuse of real estate metrics. Despite the misunderstanding of real estate mathematics amongst a certain sector of the real estate market, savvy real estate purchasers, appraisers, institutional buyers and real estate analyst are typically comfortable with the metrics used to describe property performance. The Capitalization Rate or cap rate of a property is one such metric that can offer a wealth of information about the performance of a property and the market assumptions of the seller. The cap rate expresses the annual rate of return of a property's net operating income given its market value or purchase price. Since debt service, income and expense escalations, and tax considerations, it is not the most reliable method of determining annual return. If properly calculated, however, the cap rate can be compared with a metric of opportunity costs, such as the Weighted Average Cost of Capital from the world of equities to determine the desirability of the property given alternative investments. I recently found a paper written for the Journal of Real Estate Research that explains the components of cap rate. It explains that cap rates are significantly influenced by the debt and equities markets, but contain significant time lags, given the illiquidity of real estate. The paper asserts that there are 4 components to a cap rate: the risk free rate (here measured by 3 month treasuries, usually measured by the rate of 30 yr. treasuries); a component composed of the market cost of debt divided by the property value (let's call it the property's market LTV) and the spread of a BAA rated bond (lowest possible investment grade); a component comprised of the 1 minus the property's market LTV, the equity spread (as measured by the performance of the S&P 500) and a volatility coefficient beta for stocks (measured by the covariance between real estate equity returns and market returns, divided by the variance of market returns); finally, the negative of the growth rate. Cap rates are also typically expressed as the discount rate less the property growth rate. Following this logic, one can collapse all of the above components of the cap rate, except for the growth rate negative, into the cap rate's given discount rate. Therefore, given a cap rate, one can look up the risk free rate, the market cost of debt, the BAA bond spread, the equity spread and the equity volatility beta and find the growth rate of the property assumed. All of the aforementioned components are regularly published. Knowing the assumed growth rate of a property allows for a deeper understanding of how that property is priced and how it is expected to perform. It also explains the inverse relationship between cap rate and price, as a larger cap rate assumes more negative growth or appreciation, as it is called in real estate. One caveat to both this discussion and the paper referenced is that I am not convinced that cap rates are significantly influenced by the changes in the equities market, although equities are an appropriate asset by which opportunity costs can be measured. The influence of both property REIT's and mortgage REIT's as well as the proximity of the stock market's historical returns (hovering around 8.5%) to historical cap rates (around 7.6%) all make the case that the equities market has some influence on cap rates. Given real estate's local nature and the idiosyncrasies of each property type, however, it is difficult to believe that the link between cap rates and equities can remain significant in the face of more influential determinants of the property's value. I prefer to think of the equities portion of the equation as open to be replaced by whatever alternative investment is feasible to the purchaser at the time the cap rate is figured, accompanied by its related volatility beta.